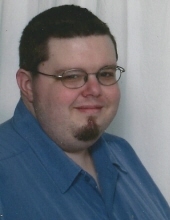 Timothy Wayne Hunt, age 38, of Flemingsburg, passed away on Wednesday, December 26, 2018 at Baptist Health in Lexington after a brief illness. He was born in Ft. Hood, TX on April 25, 1980, the youngest son of Paul and Patricia Smoot Hunt of Flemingsburg. Timmy was a member of Mill Creek Christian Church. He loved watching dirt track racing, NASCAR, and he also loved fishing. Besides his parents, he is survived by: two brothers, Donnie (Kristin) Hunt of Hillsboro and Jimmy (Karen) Hunt of Flemingsburg; four nephews, Tyler, Austin, Cody, and Brady Hunt; a great-niece, Makaya Hunt; and several aunts, uncles, and cousins. He was preceded in death by: paternal grandparents, Ollie and Florence Hunt; and maternal grandparents, Carlos Smoot and Oma B. Cooper. Funeral services will be held at 2:00 pm Thursday, January 3, 2019 in the chapel of Carpenter-Fritz & Vice Funeral Home officiated by Pastor Martin L. Voiers. Visitation will be 10am-2pm Thursday at the funeral home. Burial will be in Elizaville Cemetery. Pallbearers will be Jimmy Hunt, Austin Hunt, Pat Hunt, Ronnie Hunt, Tyler Hunt, and Brian Glass. Visitation will be 10am-2pm Thursday at the funeral home.